During your visit to New Orleans, you’ll find no lack of attractions and activities. One of the area’s most popular activities is a visit to one its majestic plantations, where guided tours make history come to life. 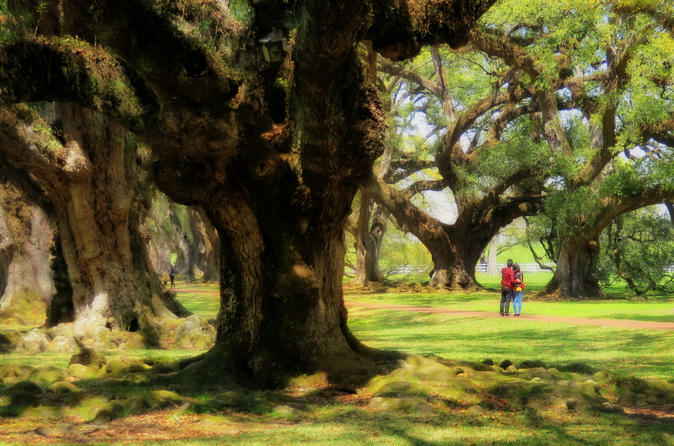 Tour operators offer transportation from New Orleans to a variety of nearby plantations. 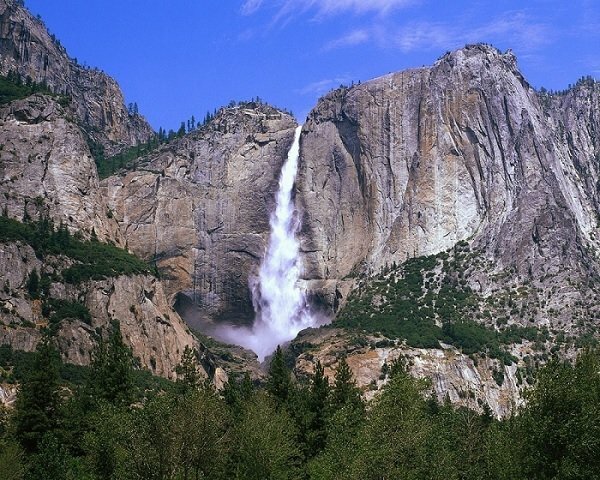 Some of these tours combine other activities as a package. 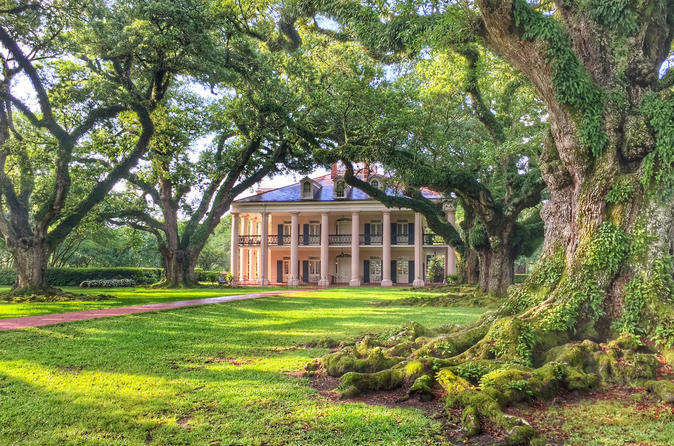 We have reviewed the 5 top rated plantation tours from New Orleans to help you select which one best fits your interests and needs. We recommend this trip for those who’d like to squeeze in two of New Orlean’s stately plantations into a one-day outing. 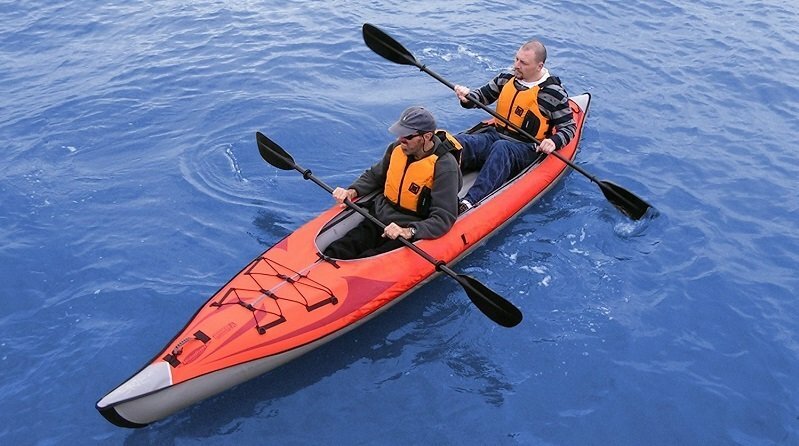 It’s ideal for those who are comfortable in larger groups. While this tour will take you from New Orleans to two plantations, there are actually three to choose from – Oak Alley Plantation, Laura Plantation, and Whitney Plantation. You will simply inform your tour operator at time of booking which combination you prefer. You’ll start your day by boarding a comfortable coach which will transport you alongside the Mississippi River to the two plantations of your choice. Your driver will offer informational and amusing tidbits, which makes the short ride fly by! Oak Alley Plantation sits on 25 acres and is located 55 miles west of New Orleans. Once a functioning cattle ranch, it was purchased in the 60’s and renovated to its previous splendor. At Oak Alley visitors will meander through its lovely gardens and under majestic oaks, explore the antebellum mansion, and learn about the plantation’s history as working sugarcane plantation. Laura Plantation, formerly known as “Duparc Plantation”, is a 200-year-old sugar cane plantation, boasting a big house, several surviving outer buildings, including 2 slave cabins, and three gardens. It’s also situated less than 60 miles west of New Orleans. Laura Plantation provides guided tours and a self-guided exhibit that details the Duparc family history. Whitney Plantation, originally known as “Habitation Haydel”, lies about an hour west of New Orleans. 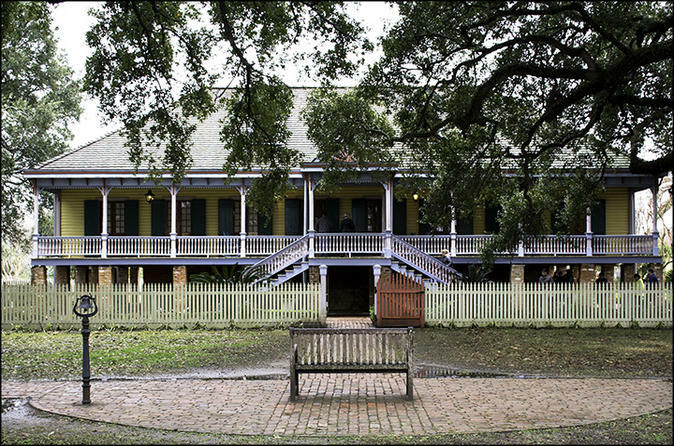 Its museum is the only plantation-based museum in Louisiana with a focus on slavery. Borrowing from first-person slave narratives, memorial artwork, and restored buildings, informative tour guides will give you a moving perspective into that dark time period of American history. This tour may not be appropriate for younger children. We recommend this tour for those who prefer a small group dynamic. It’s a perfect fit for romantics, foodies, and adventurers alike. You’ll be whisked back into time on this tour that takes you from New Orleans to Louisiana Creole country. Your guides will point out historical sites and provide interesting facts about the area en route to your three separate stops. The boat ride to the Manchac Swamp is narrated by friendly locals who go out of their way to make sure you see plenty of gators up close and personal; but don’t worry, your safety is their first concern! At Oak Alley Plantation you will dine on scrumptious creole brunch items like chicken and smoked sausage gumbo and crawfish etouffee. Meander beneath the moss-draped oaks on this plantation, which has been the filming site for several productions, including the movie “Interview with a Vampire”. You’ll have a guided tour of the inside of the plantation big house. Finally, you’ll be guided through the 200-acre Laura Plantation where you’ll get an in-depth look into the Duparc family, the original owners of this plantation, and their slaves. Laura is celebrated for its early 19th-century Créole-style big house. Several of its structures are on the National Historic Registry. Departure time: pickups begin at 8:30 a.m.
We recommend this tour for those visitors who are looking for a half-day trip to take in one of southern Louisiana’s most picturesque plantations. 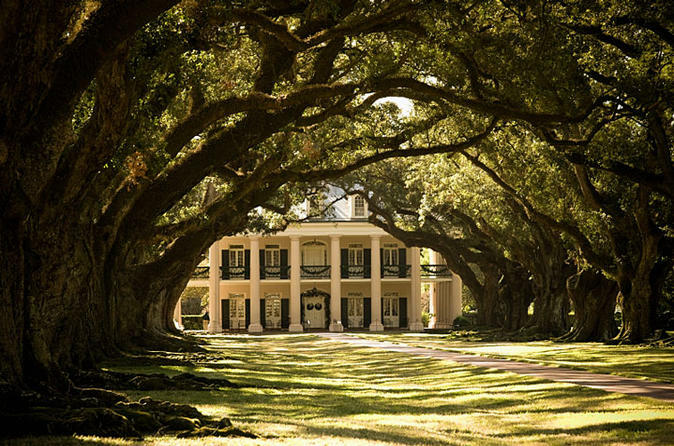 On your way to Oak Alley Plantation, once known as Bon Séjour, you’ll be entertained by your friendly, informative driver as you travel alongside the Mississippi River. Once you’ve arrived at the plantation, experienced docents will lead you on a tour that will take you back in time to the days when the property functioned as a sugarcane producer. You’ll be captivated by plantation’s Big House, a Greek Revival-style mansion; the canopied-pathway that’s lined by enormous southern oaks; and the property’s onsite garden. Learn about the history that landed Oak Alley on the National Historic Registry. A slave exhibit educates visitors and pays tribute to the enslaved men, women, and children who were responsible for building the Roman family’s wealth. We recommend this tour for those travelers who are looking for a half-day trip to experience a restored historic Creole plantation, especially those who are interested in the personal accounts of plantation slaves. Sit back and relax while your driver transports you 75 minutes from New Orleans to Laura Plantation. The drive out will be a learning experience in itself, as your driver is knowledgeable about the area’s history and highlights. Laura Plantation is a 200-year-old Creole plantation. With it’s many structures that have been preserved and renovated, you will get a good sense of how life was for its inhabitants when the sugarcane plantation was in its heyday. A guided tour will take you through the Big House, three vibrant gardens, a kitchen potager, and the BananaLand Grove. You will be moved by the focus on slaves’ experience during this plantation tour, where you will visit an authentic slave cabin that dates back to the 1840’s. Laura Plantation is the only one in this area that has an exhibit dedicated to sharing the stories of enslaved individuals. 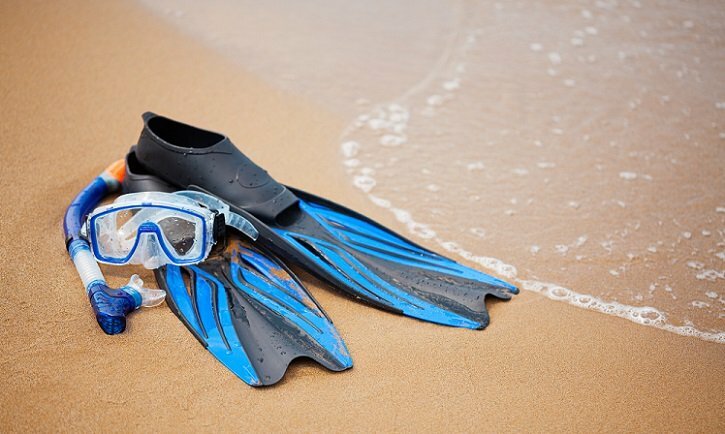 Departure time: begins at 8:30 a.m.
We recommend this tour for those who are short on time but don’t want to scrimp on sightseeing and learning about the fascinating history of New Orleans and its grand sugarcane plantations. The two parts of this tour may take place on two separate days. Your day will start with a 3-hour tour in a mini-bus. Visit all the must-see locations throughout historic New Orleans. Get a better sense of how the area was affected by Hurricane Katrina and how the community has forged ahead to rebuild. Some of the key areas you’ll visit in the city include: Jackson Street, the French Quarter, the French Market, St. Louis Cathedral, and the Cabildo Museum. Your licensed, informative tour guide will share interesting tidbits about the St. Louis Cemetery, an above-ground cemetery, while you wander among the tombs. The second portion of this tour takes visitors to Oak Alley Plantation, the 25-acre restored sugarcane plantation that lies approximately one hour from New Orleans. At Oak Alley you will be given a professional guided tour of the Big House, a Greek Revival-style mansion. The sugarcane exhibit offers a glimpse into how the original owners built their empire on sugarcane production. The slavery exhibit relates how the plantation was built and supported by enslaved men, women, and children. Flights arrive at the Louis Armstrong International Airport from all over the U.S. and international destinations. Rental cars from the airport are one of a few options. Traveling from the airport to the French Quarter will take 25 minutes by car. The area’s regional transit system offers an airport bus from the airport to two locations: mid-city and downtown. Catching a taxi or other car-for-hire service such as Uber or Lyft are other options. Amtrak has a station in New Orleans and the route runs from Chicago through Memphis. Consider what you’d like to do before packing your suitcase. Do you plan to explore the area’s swampy bayou, perhaps by taking an airboat tour? Will your trip focus on other outdoor activities like attending a Jazz Festival? Maybe you see yourself enjoying fine dining on the area’s unique Creole cuisines. In that case, make sure to pack your most elegant attire. Having a general idea of your preferences and plans will help you plan what to bring and what to leave behind. Consider whether you’ll be outdoors a good amount of time. New Orleans can be muggy and hot during the summer months, so dress accordingly. Not only should your plans guide you in what to pack, you should also purchase tour tickets and make reservations in advance for the things you definitely don’t want to miss out on. Heavily influenced by Cajun and Creole cuisine and soul food, New Orleans-style fare is a must try while you’re there. For authentic local food we recommend the following establishments. The Atchafalaya Restaurant is a cute, quirky place with a lot of excellent food options at reasonable prices. The Commander’s Palace is an upscale (no shorts allowed!) eatery that’s well-known for its local cuisine and specifically for its bread pudding soufflé. For a bite on a budget, give Faubourg Bistro a try. They have your standard burgers and pizza and some southern options, like fried catfish sandwich; or consider Cajun Mike’s Pub & Grub where you can get po’boys, crawfish kickers, and seafood gumbo. No trip to New Orleans wouldn’t be complete without a visit to the French Quarter, but the city is so much more than the 13 block area, originally known as Vieux Carré. Try out these other hot spots to get a better perspective of the city. Performances at the The Jazz Playhouse, located on Bourbon Street, wow their audiences with the quality of musicians and nice ambience. The drinks can be a little pricey, but we feel the expense is worth the experience. If you’re looking for a bar that’s gay-friendly, the Good Friends Bar & Queens Head Pub is worth checking out. Bartenders and friendly and fun. There’s an upstairs bar that is smaller, with a good sized balcony. Their creamy drinks are fabulous. Why not bowl while you enjoy a few drinks? At Rock n Bowl – Mid City Lanes you can do just that. And the fun isn’t limited to bowling. There’s a music venue and a dance floor as well. If you plan to make room for some culture during your visit to New Orleans, the Saenger Theatre features a nice variety of concerts and shows. The theater itself is worth seeing for its beautiful architecture alone. New Orleans is a walkable city, but if you find your feet are no longer serving you, there are other options for getting around. New Orleans has a little-known (to outsiders) street car service. It can get you around to most areas of the city for a reasonable price. On top of this public transit option, there is a city bus system that’s well-organized and reliable. If you do plan to go with a rental car, it’s worth keeping in mind that parking in the French Quarter can be frustrating. Using a car-for-hire service like Lyft or Uber, is a good compromise if you don’t want the hassle of renting a car or dealing with the public transportation schedule. These service are readily available in the city. There’s no reason a tight budget needs to dictate where you travel. New Orleans offers a wide array of accommodations and is reasonable when compared to other cities. You will find everything from hostels and low-end hotels to super ritzy digs; and don’t forget private home rentals through sites like VRBO or AirBnB. Starting at the lower end, check out The The Quisby. Located on St. Charles Avenue, this hipster hostel has a 24 hour bar conveniently located in the lobby. Auberge Nola, which describes itself as “New Orleans’ first Boutique Social Accommodation”, is another centrally-located option for reasonably priced lodging. It has all the basics- location, comfy beds, and clean facilities. If you’re economically-minded, but crashing hostel-style isn’t your thing, we’ve selected a couple of mid-range options where you’ll enjoy the usual comforts without denting your wallet. The Pontchartrain is a perfect escape from the usual roadside hotel chains. This charming hotel dates from the 1920’s and is located in the Garden District. We have two other mid-ranged favorites that are situated in the heart of the French Quarter. The brightly-painted Olivier House Hotel offers comfort, combined with old world charm; and the cozy Place d’ Armes Hotel has lovely outdoor seating areas, with lush tropical foliage and a refreshing pool. For a more exclusive stay, consider the Soniat House. This small luxury hotel was constructed by renovating several adjoining 19th century French Quarter homes. New Orleans has a humid, subtropical climate. For that reason, the height of the summer can get uncomfortably warm and muggy, with an average temperature of 90 degrees between the months of June and September. Late fall, winter, and spring are more temperate and probably a good time to visit if you plan on spending time outdoors. Rainfall is relatively consistent throughout the year, with the exception of June, which averages significantly more than the other months. Someone visiting New Orleans for the first time will be surprised at how much there is to do in the area. No matter your area of interest- the arts, nature, outdoor adventure, or whatnot- you’ll find plenty to do in New Orleans and the surrounding areas. For the traveler who also loves learning, there are several noteworthy museums to consider. The Lower 9th Ward Living Museum isn’t one of the best known, but is definitely worth checking out. The museum displays a sometimes somber, and always moving, history of this community, including how it was affected by Katrina. The Audubon Butterfly Garden and Insectarium intrigues visitors with its Japanese garden, displays of bugs in their natural environments, and the opportunity to try insect-ladden delicacies. This is a great option for families, as some exhibits are geared toward the younger visitor. The The National WWII Museum is probably New Orlean’s mosts popular museum, and with good reason. History buffs will love this tribute to the greatest generation. A visit to this museum is enriching and gives a more holistic view of the events leading up to and surrounding World War II. Art lovers will appreciate the Ogden Museum of Southern Art where rotating exhibits of southern artists are displayed. At Treme’s Petit Jazz Museum you’ll get individualized attention through a guided tour by the museums owner where you will learn about the complex history of how the genre evolved. 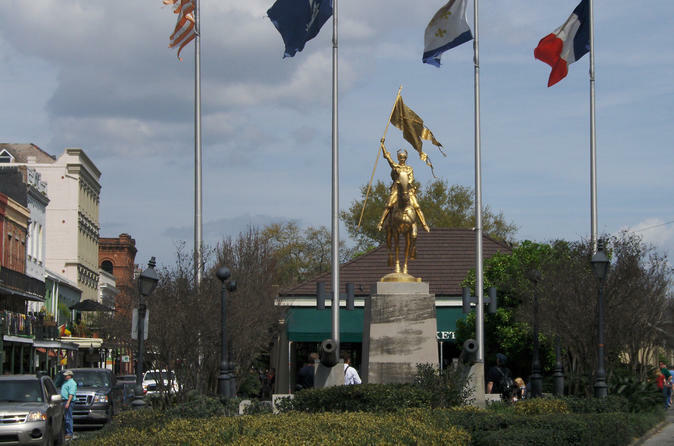 In terms of landmarks, in Jackson Square you will see the grand St. Louis Cathedral and enjoy free entertainment by a motley crew of street performers. St. Roch Market is a utopia for foodies, with tons of cuisine options – from local to international. If you want to enjoy the fresh air, New Orleans City Park has a sculpture garden and waterways which wind through this green space. For some live outdoor jazz, visit New Orleans Musical Legends Park where statues of jazz musical legends are displayed. And Crescent Park runs along the Mississippi with a trail that leads to the French Market. Sadly we can’t mention all of the unique attractions and places to stay in New Orleans, but we can assure you- there is plenty to keep you busy during your trip and the perfect accommodations are waiting there for you!